Lately I've been into nail art. 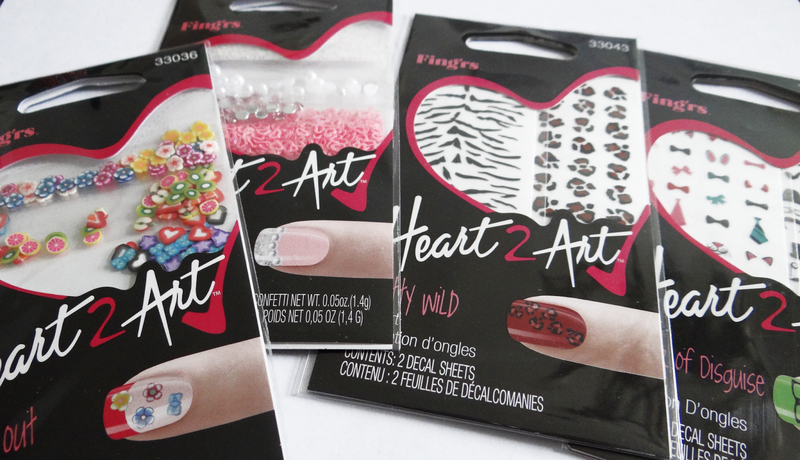 I've seen the Fingrs brand before at Walmart, they have nail art brushes. The other day I saw this new display with nail embellishments and nail polishes. I decided to pick up four of these and try them out. They each have names and are around $3 CDN each which is quite reasonable. The Deco'D out one comes with 144 polymers, that include flowers, various fruits, and hearts. The decorations say to put these onto wet nail polish after your nails are painted and then apply a top coat. The Embellish Me! 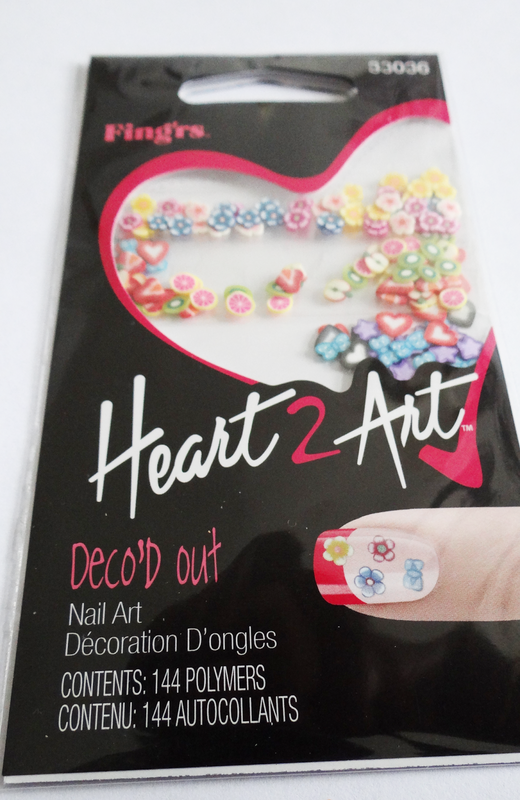 comes with 24 white pearls, 24 pink rhinestones, purple and blue multi color confetti and pink hear confetti. The directions for this one is the same as the one above, your suppoused to put it on wet nail polish and then apply a top coat. Master of Disguise is the one that my sister picked out since she has this obsession with moustaches. You get two sheets of decals with bunny ears, mouths, ties, and moustaches along with glasses and hats. 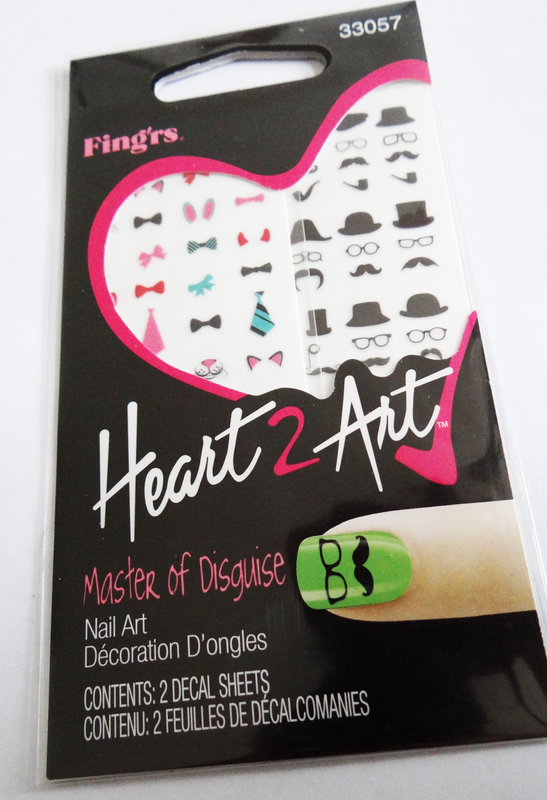 For these the directions is to peel off and apply on dry nail polish and then seal with a top coat. 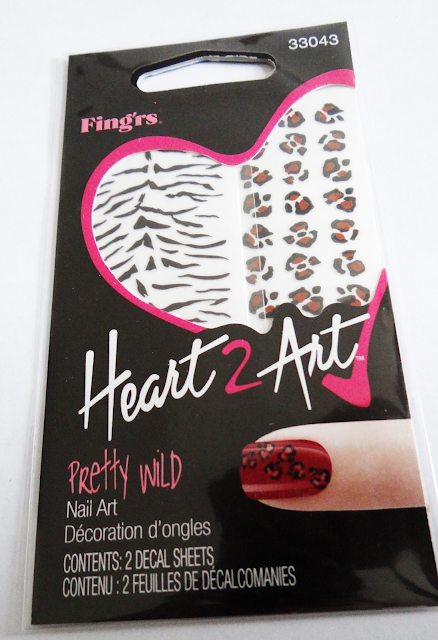 Pretty Wild comes with two sheets of decals. They're animal print, there's zebra strips and leopard prints. The directions for these are the same as the other decals. I love how affordable these are. I'm excited to try out the nail polishes. I have a lot of nail art brushes so I won't be trying those out and they're quite expensive.